Homepage › Forums › Vintage Melodicas › My "New" Hohner-Soprano.. This topic contains 13 replies, has 4 voices, and was last updated by Hans 5 months ago. 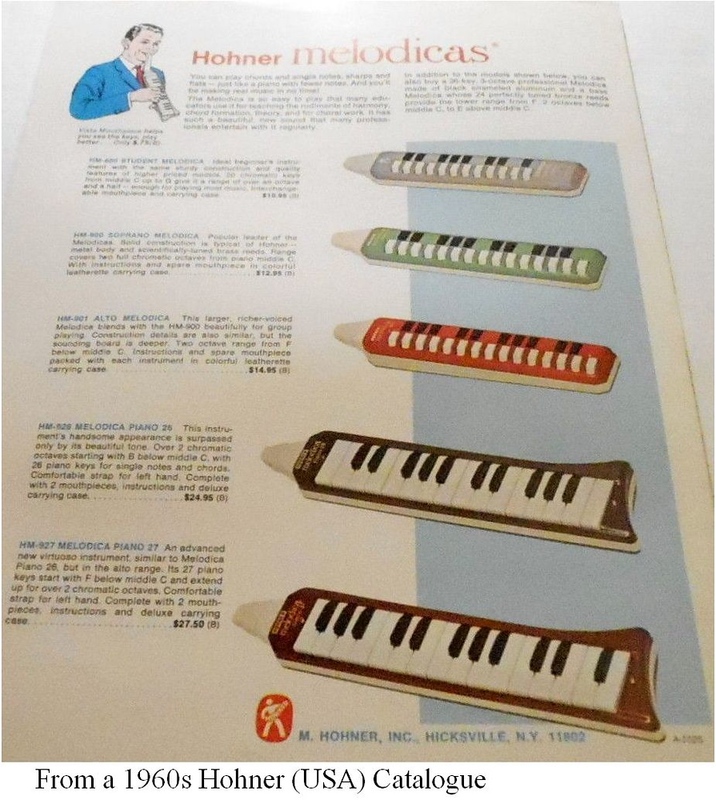 That is the very first Hohner Melodica, the HM-900 Soprano, Hans, introduced in late 1958. It does look new. If these models are playing well, all buttons working smoothly and no leaks, I would not take them apart. If they do not have an unpleasant odor, I wouldn’t even give them a bath. This reply was modified 5 months ago by Hans. It is my understanding that the sopranos made in the 50/60’s had the little man playing accordion in the back and the ones made in the 70/80’s had the little man in the front. To add to my comment, I believe that the sopranos made in the 80’s had the rubber tabs at the rear for moisture release and the 50/60/70’s had the mechanical button. There are some complications, though. 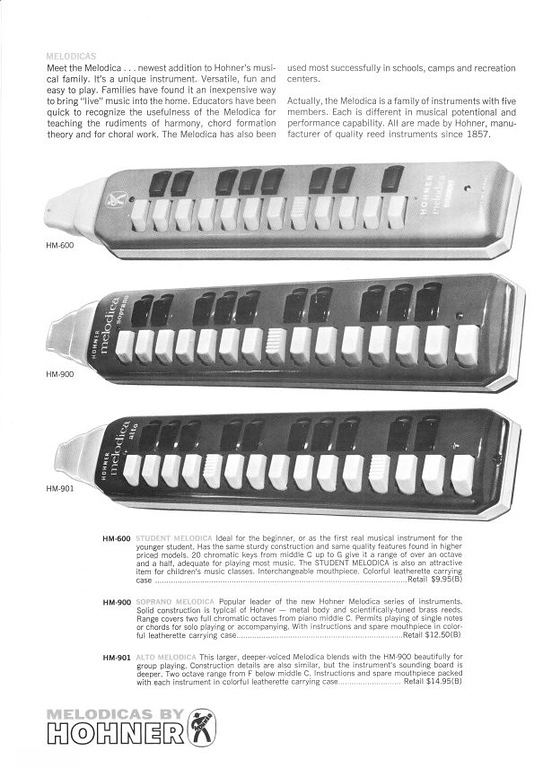 For example, (1) Hohner sometimes used photos from earlier ads or brochures in its advertising. This is a conclusion I drew when collecting and comparing images; (2) It sometimes happens with melodica models from the same time period that there are variations in the same model. Not sure if this is so with Hohner, but it seems to have occurred when a production run ends and a new one is started or when there’s more than one manufacturing location. If the case or box is shown, this can help to date the melodica. The little green and white sliding cardboard box goes with the one with the logo on back. The vinyl case with the logo on front? I think the box is earlier, which suggests that Oscar is right about the time sequence. Okay, here’s another one. 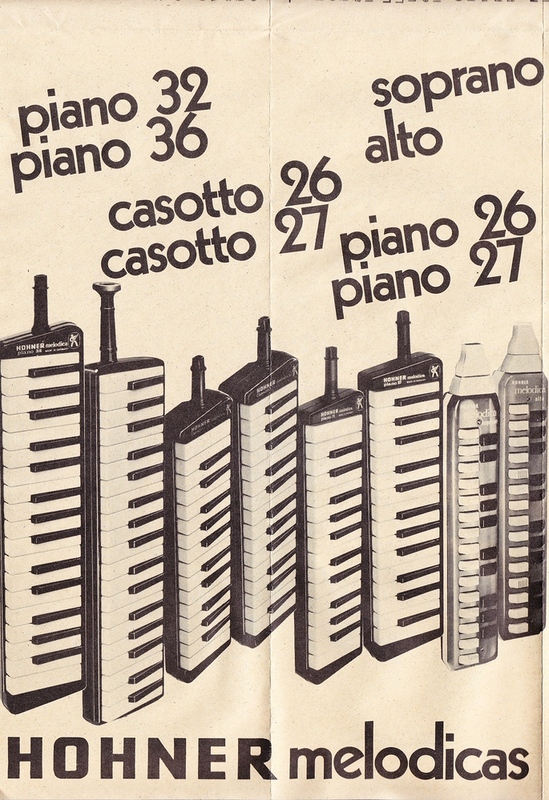 Probably 1970s since it includes the Piano 32. The logos are on the front. That’s where they also are on the Piano models shown.